Schiermonnikoog, the Netherlands – one of the West Frisian Islands. August 2014. 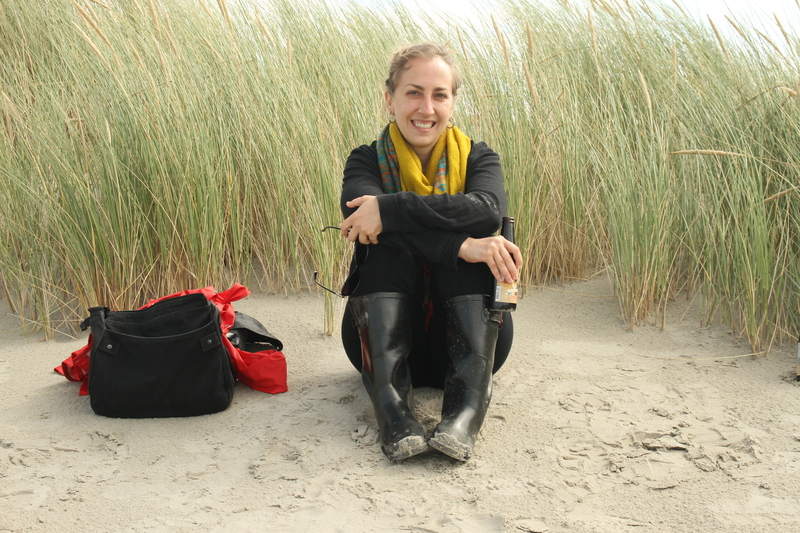 I’m a mid-30’s American woman living in Amsterdam, The Netherlands. I was raised in upstate New York, went to college in New Jersey, and lived in Philadelphia for a few years in my early 20’s. The first time I quit my job and moved to a foreign country where I had no security or plans was back in 2005, when I moved to Paris with my then-boyfriend (also an American). We lived in Paris and spent a lot of time traveling around Europe for about two years before returning to the US and “settling down” in New York City and so I could get a “good job” in television & documentary production. The relationship ended, but I enjoyed living in NYC, and I did end up with a job at a production company that I liked a lot… but after about a year, I knew I didn’t have it in me to keep up the level of intensity that I’d need to keep up to “make it” in the world of production in NYC. So I made a new plan, quit my job a few months after I got a promotion and pay raise, moved out of my Brooklyn apartment, and saved a bit of money to move back to Europe – but this time to Amsterdam. I knew two people in Amsterdam and didn’t have a visa or a lot in savings. I arrived with my one-way ticket in April 2008. I spent four days in Amsterdam in the autumn of 2007 to figure out if I should live here. The answer was yes. 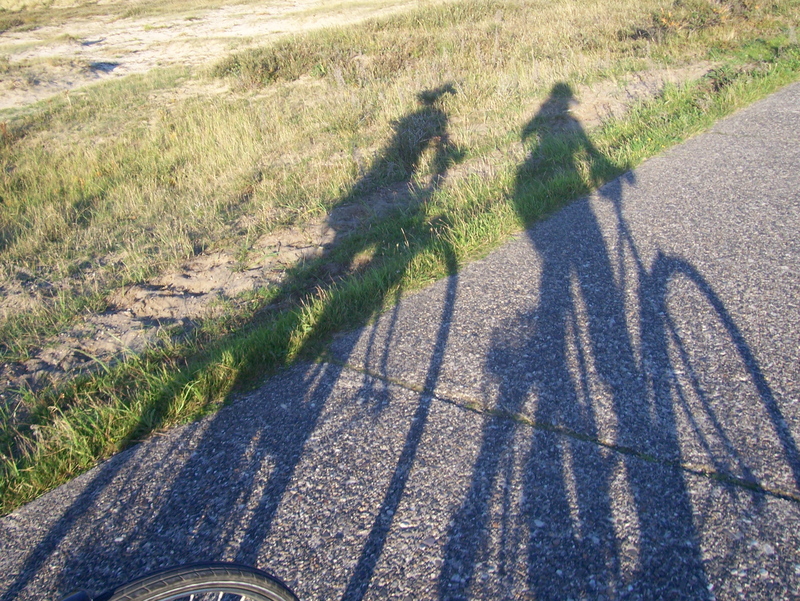 Springtime bikerides through Amsterdam with one of the two people I knew in the city when I first moved over. Amsterdam worked out. Call it luck, call it the fact that I tried really, really, really hard, but I ended up finding a job (in commercial production), getting sponsored for a work visa, finding a place to live, and making wonderful friends. I was single when I arrived in Amsterdam and stayed that way, quite happily, for most of the first year. The work-life balance in Amsterdam was everything that New York City wasn’t, which was perfect. Amsterdam has remained “home” since April 2008, and it’s where I’m currently residing, though I also spent two months living in Italy and almost one year living in Mexico between 2008 and now. I currently work as freelance producer/production manager/filmmaker, and the freelance lifestyle has allowed me the opportunity to take large chunks of time off (while always risking the fact that I don’t have a job to come back to). I do not have a European passport, but have found ways to always have the proper visa for living and working in the Netherlands, both as a salaried employee and as a freelancer. I met Enrique back in 2009 and we started dating in 2010, right after I started freelancing. Our first trip together was to Berlin, in the summer of 2010. I was pretty broke, but had a lot of free time. I suggested hitchhiking to Berlin, he agreed, and ever since we’ve been a team. We moved in together after I came back to Amsterdam from Florence in early 2011, and lived smack in the center of the city in an old, big apartment that was full of character (and mice). At a beer garden in Berlin, “watching” the world cup final on those tiny TVs far way (Holland vs Spain). Our first trip together. 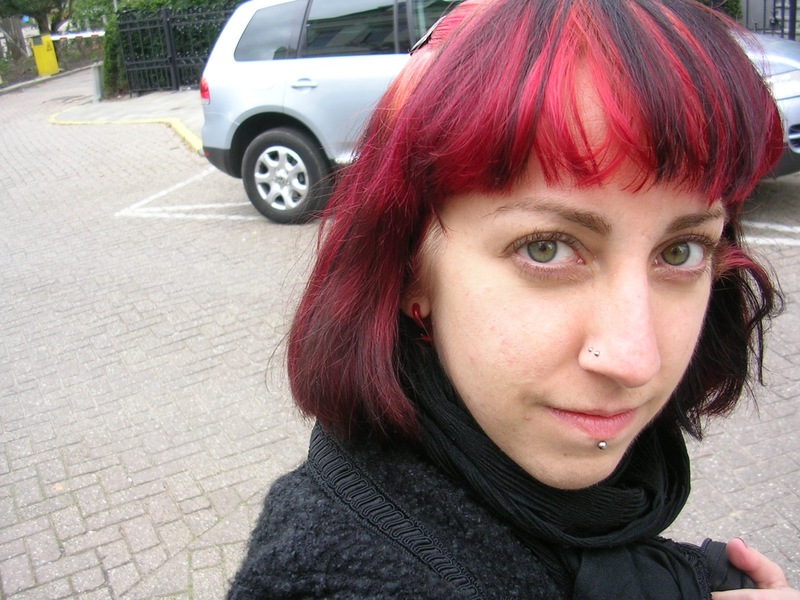 Somewhere in the Netherlands, probably in 2011 (judging by that jacket I’m wearing). In 2012, Enrique finished his PhD and started pursuing job opportunities. 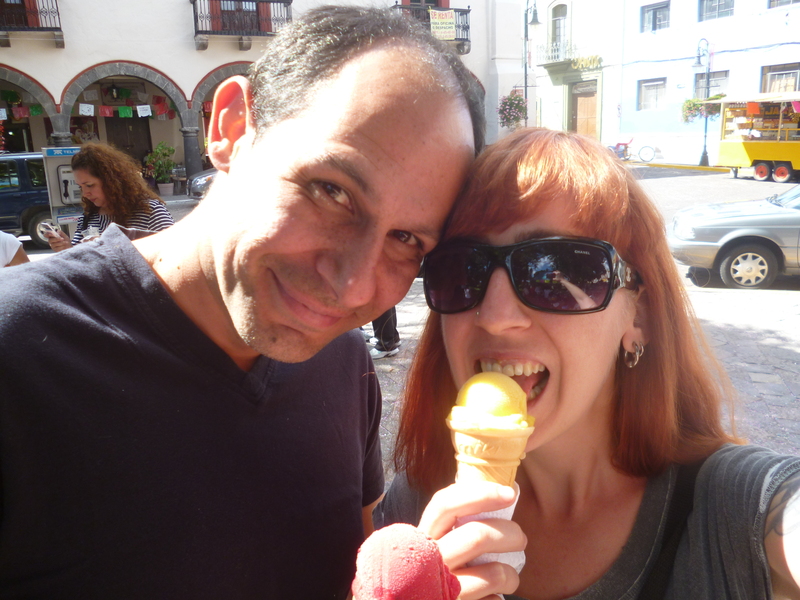 Due to visa limitations, he had to return to Mexico at least temporarily, so I visited Mexico for the first time in 2012 and stayed for five weeks. I returned to Amsterdam, Enrique kept looking for work everywhere, and finally accepted an offer to teach at a university in the state of Puebla, Mexico, in a town called San Andrés Cholula. 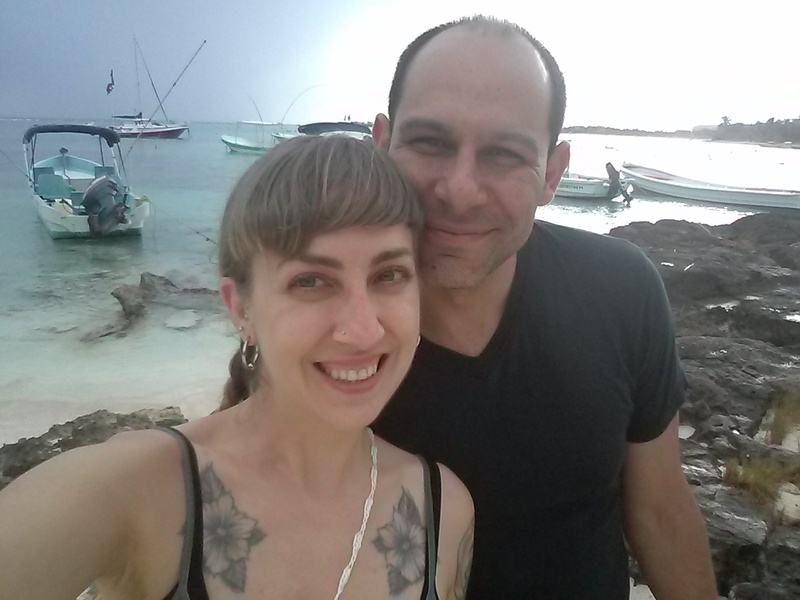 We decided a long-distance relationship was not in our cards, so for a third time in my life, I left my job (though as a freelancer I didn’t technically “quit” anything), moved out of the apartment in Amsterdam, and showed up in Mexico in September of 2012. I arrived to our apartment in the city of Puebla and started learning Spanish the following week while working on some of my own video projects. My first month in Mexico. New hair, warm sun, ice cream. 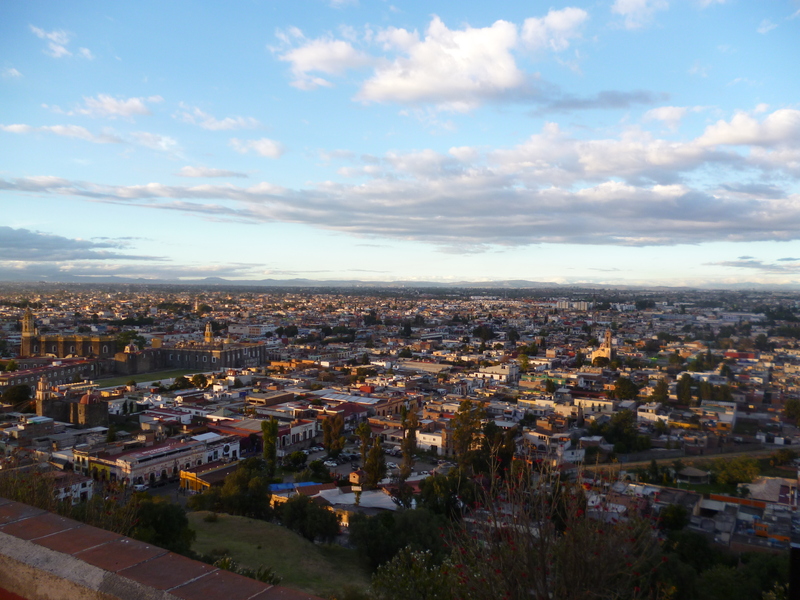 View of Cholula, our home in Mexico during 2013. I stayed in Mexico for almost one full year, though we changed apartments and re-located 15 minutes away to San Andrés Cholula in Jan 2013. Eventually, for a million different reasons, we decided to return to Amsterdam, and both of us were back in the late summer of 2013. When we got back, we got all our things out of storage and moved into a lovely apartment in De Baarjes. He started working at a university here in Amsterdam, I went back to freelance producing. We kept traveling, mostly around Europe. In November of 2014, on a chilly-but-not-cold night, with an almost full moon and clear sky, he asked me to marry him outside in the Jordaan, not far from where we kissed for the first time. I was a few days pregnant when I snapped this selfie, and had no idea.